Intel Corp. (INTC) on Thursday raised its second-quarter and full-year sales outlook, saying demand for business PCs have been stronger-than-expected. The shares of the world’s largest chipmaker jumped almost 5 percent at $29.35 in after-hours trading following the news. Intel said it now expects revenue to be $13.7 billion, plus or minus $300 million. The company’s prior benchmark was $13 billion plus or minus $500 million. Furthermore, the chipmaker now projects “some revenue growth” for the year, compared to its prior forecast of flattish revenue. For the second quarter, which ends at the end of June, the Santa Clara, Calif.-based firm forecasts the midpoint of its gross margin range will rise by 1 point to 64%, plus or minus a couple of percentage points, driven mostly by higher PC unit volume, while full-year gross margin is expected to be in the upper half of prior guidance of 61%, plus or minus a few percentage points, driven mostly by expected improvements in unit cost and volume. 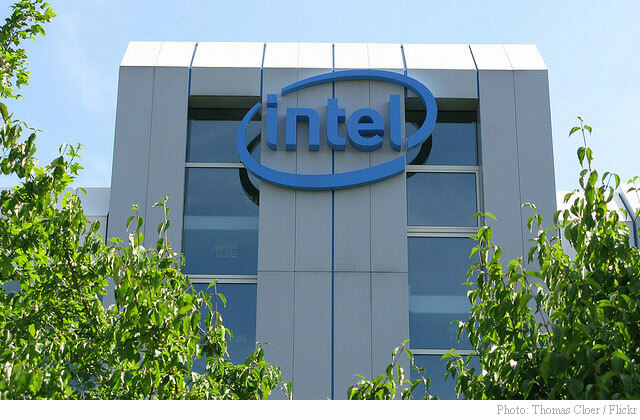 Intel is scheduled to report its second-quarter financial results on July 15.